DOUG CHURCH & DARREN H - LONDON THEATRE DEBUT! 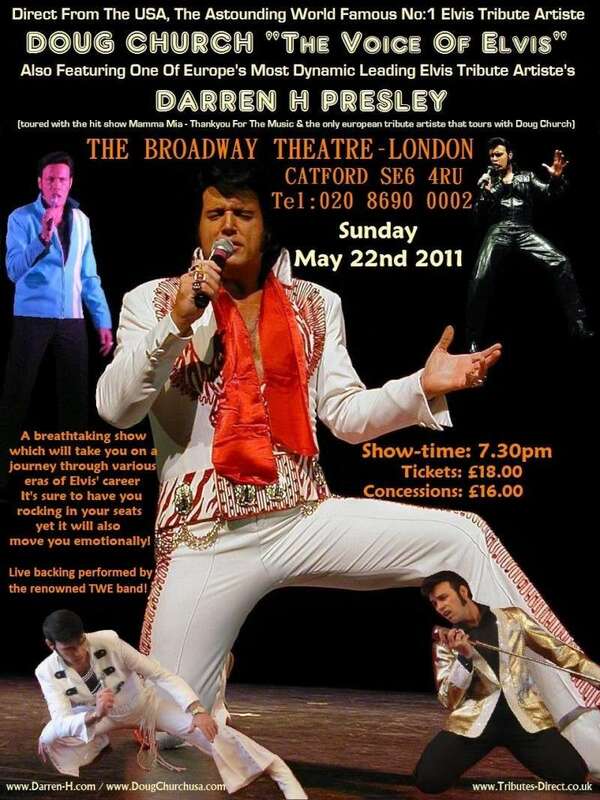 Some great news, just had confirmation that Doug & myself will be performing our show with a live band at The Broadway theatre in London, May 2011. More details to follow . . .
A spectacular two & half hour show! Hope to see some of you there!!! Poster to follow very soon! lo Petel, well the one in this thread is May 22nd 2011 but we are currently in talks about a possible tour in 2012. So does this mean that if it is, we will be seeng both your lovely self & Chris?? Hi Michelle, they have told me it should be on their webiste by the end of the month but not sure if that means the tickets will be available any sooner. Looking forward to it coming to Manchester. awee your such a boody tease Darren! Hey Pete, howya doing, nice to see ya here! Looking forward to meeting u mate . . Cool avatar pic! Actually, ive booked your bloody ticket! Subject: Re: DOUG CHURCH & DARREN H - LONDON THEATRE DEBUT!